The mill, stables and barns are Grade II listed and were constructed in 1846 by Mr W A F Saunders based on the plan of a ‘Model Farm’ which were prevalent during the mid-19th century as part of the industrial revolution. 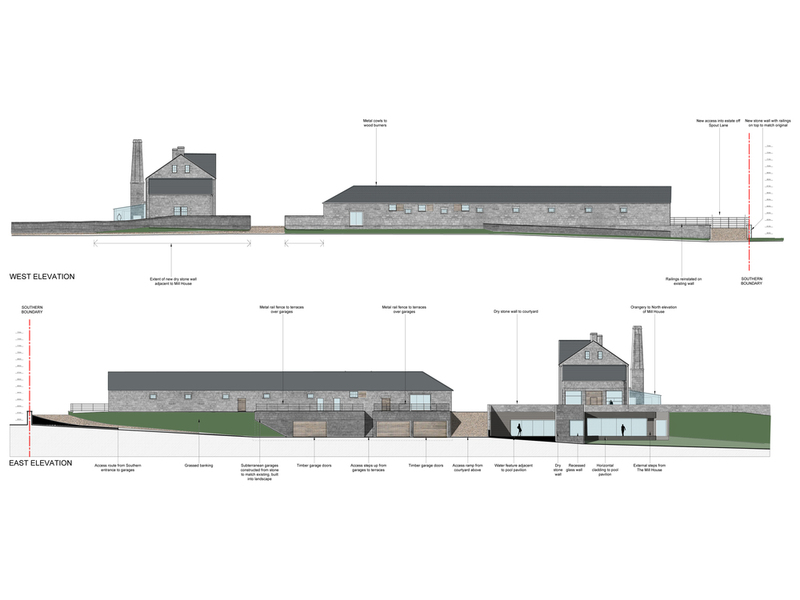 The plan consists of a main mill with a ‘U’ of stables and cattle pens surrounding a courtyard to the south. The farm which has fallen into a poor state of repair sits within 54 acres of rolling countryside with access to significant bridleways. The proposals are to renovate the existing buildings and yards into a unique equine country estate. 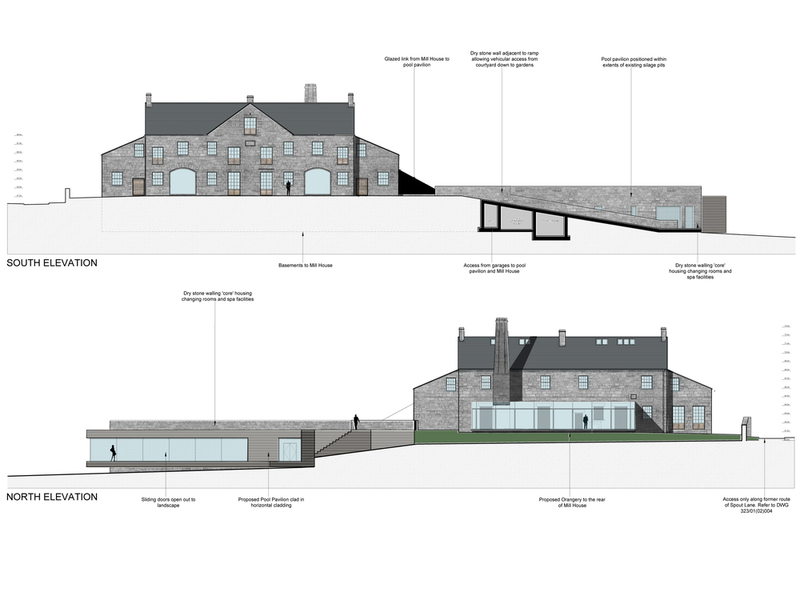 In addition to the renovation of the existing fabric, proposals include a contemporary orangery and glazed link to a pool pavilion containing sauna, hot tub and solarium.